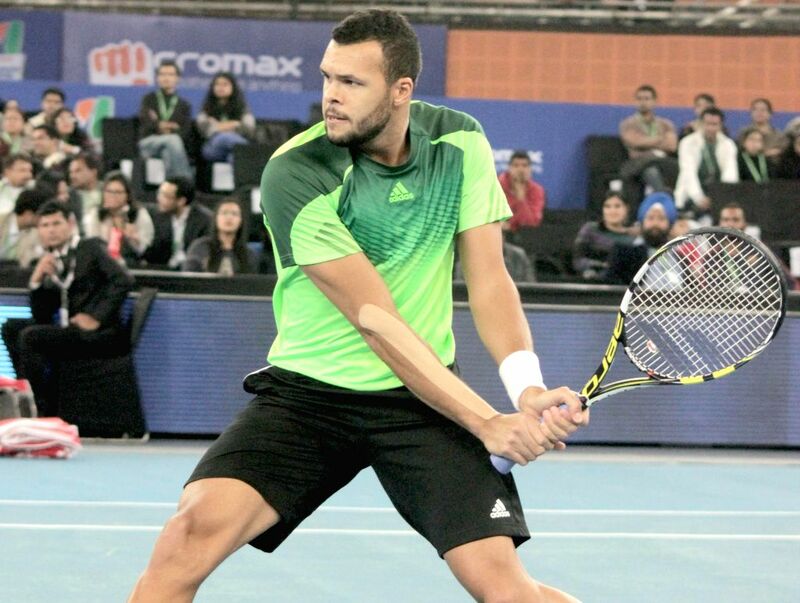 New Delhi: Jo-Wilfried Tsonga of Manila Mavericks in action against Marin Cilic of UAE Royals t Indira Gandhi Indoor Arena in New Delhi, on Dec 7, 2014. Cilic won. Score: 5-6. 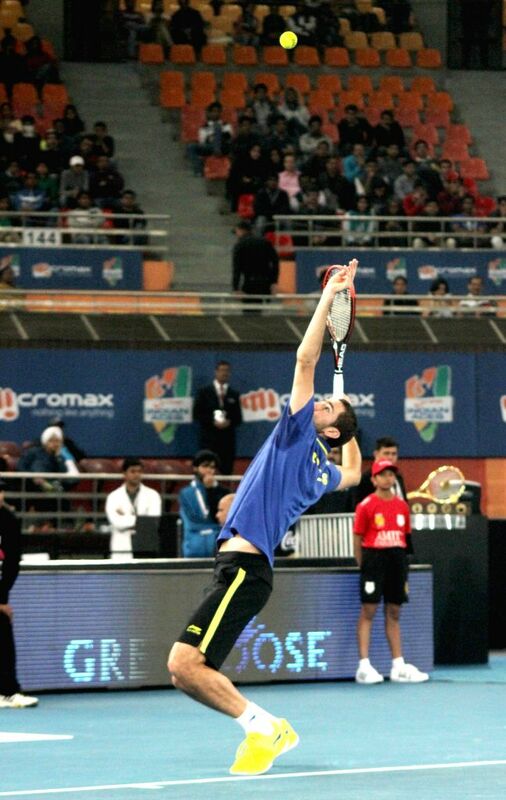 Marin Cilic of UAE Royals in action against Jo-Wilfried Tsonga of Manila Mavericks at Indira Gandhi Indoor Arena in New Delhi, on Dec 7, 2014. Cilic won. Score: 5-6.